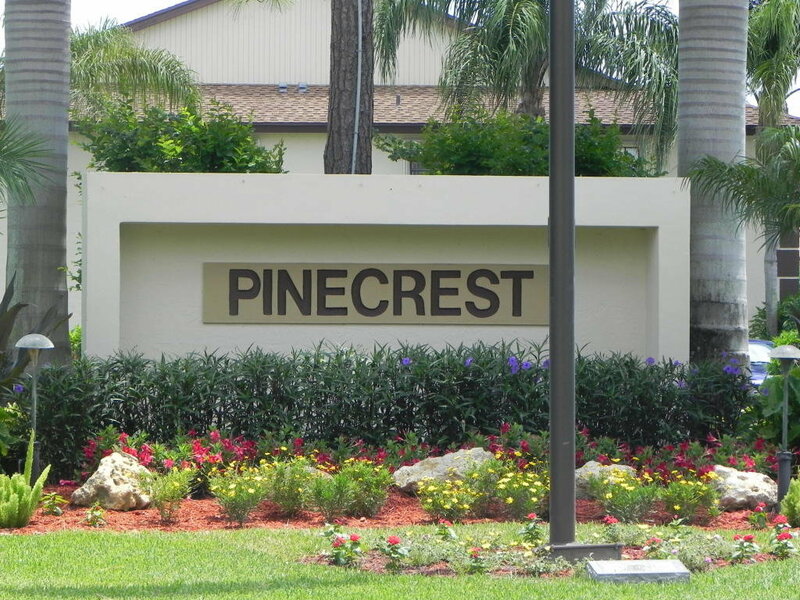 Pinecrest Condominiums is a highly sought after Indian Creek Community in Jupiter FL. Apart from being surrounded by beautifully manicured golf courses, this adorable community offers lake views, a big swimming pool, a clubhouse, two tennis courts, landscapes and sidewalk streets for their resident’s enjoyment. This condo community was built in 1987 with a total of 180 units featuring split 2 bedrooms, 2 bathrooms within about 1,100 square meter of living space. The condo units’ large screen patios guarantee the best views of the lake or golf course. It also provides its residents a place to unwind and enjoy the calming sunsets in Florida with your family and beloved pets. Maintenance for water, building roofing and exterior, as well as, cable television is all managed by the HOA. Convenience is just outside your door. With close proximity to Center Blvd, Indiantown Road, Military Trail and the Florida Turnpike Pinecrest residents have easy access to various parks, beaches, shopping centers, entertainment facilities, restaurants and Jupiter’s top rated schools.